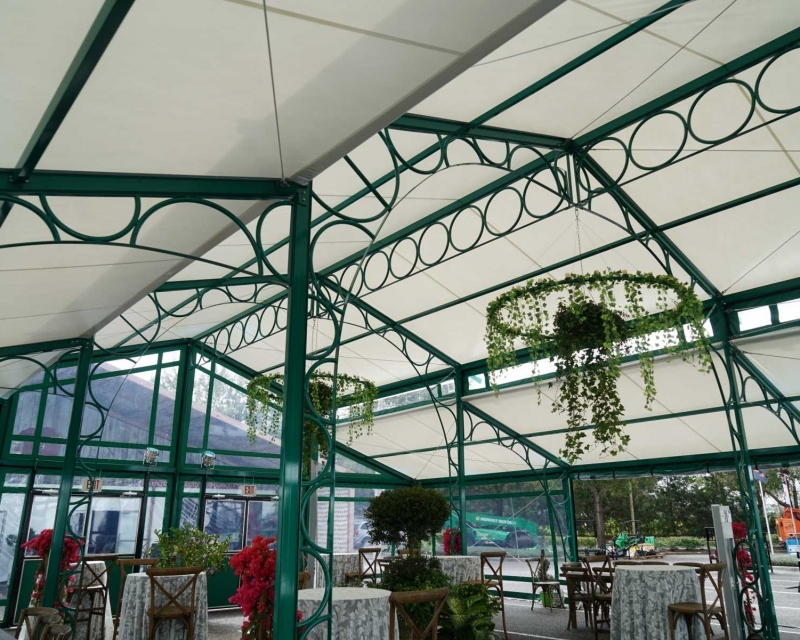 This unique Garden Tent was inspired by Longwood Gardens in Kennett Square, PA. “The Garden Tent” highlights our ADD Extrusion. 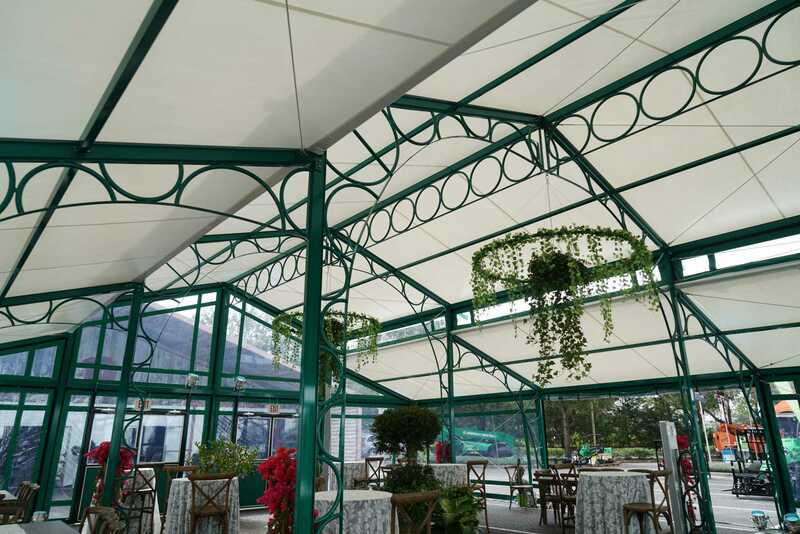 This extrusion allows the addition of ornamental decorations to any 120mm profile structure beam. 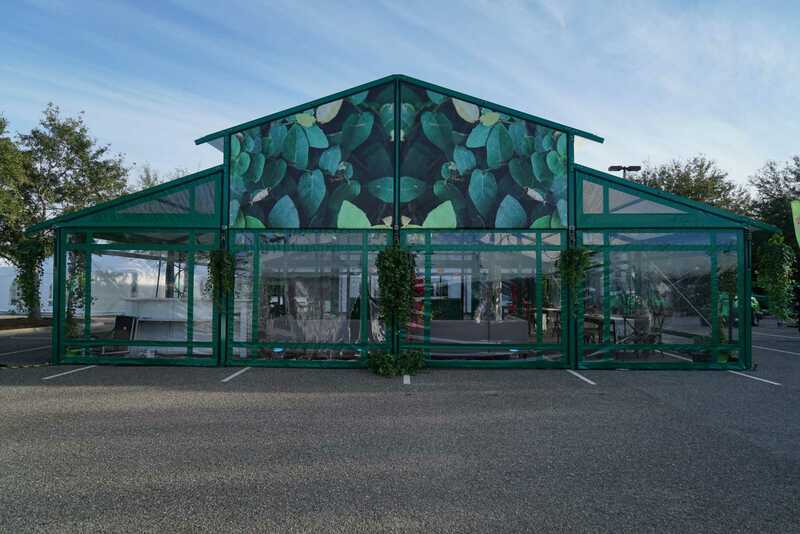 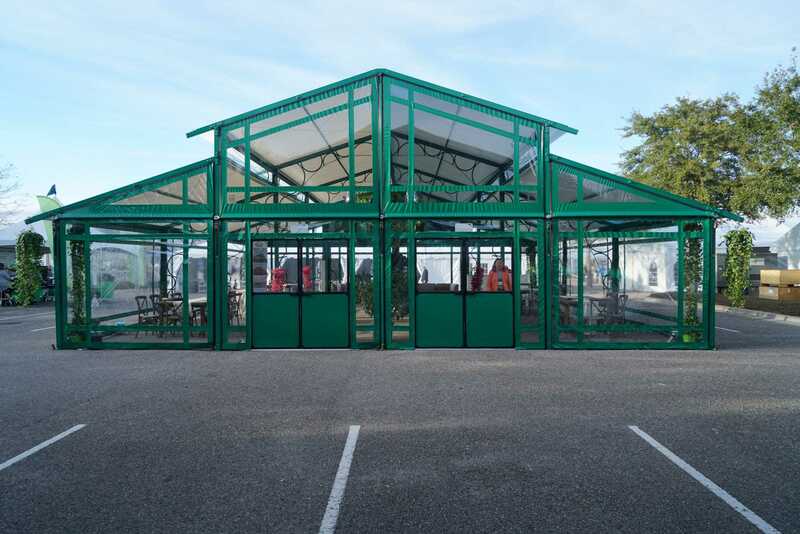 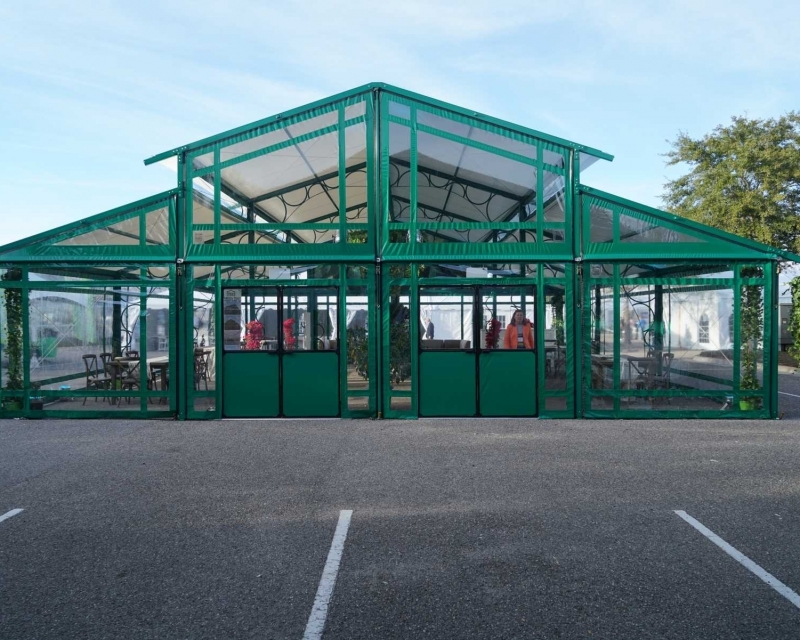 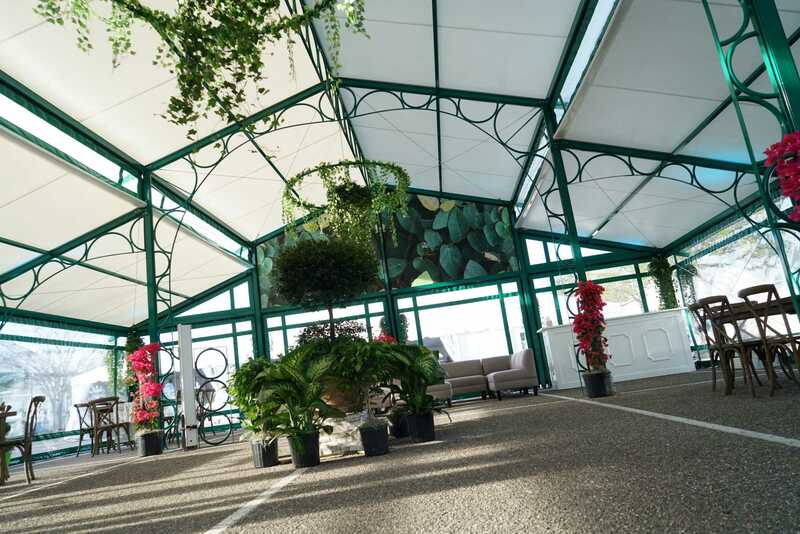 Fred’s Tents unveiled the Garden Tent at the 2019 IFAI show in Orlando, Florida and boy was it a hit! 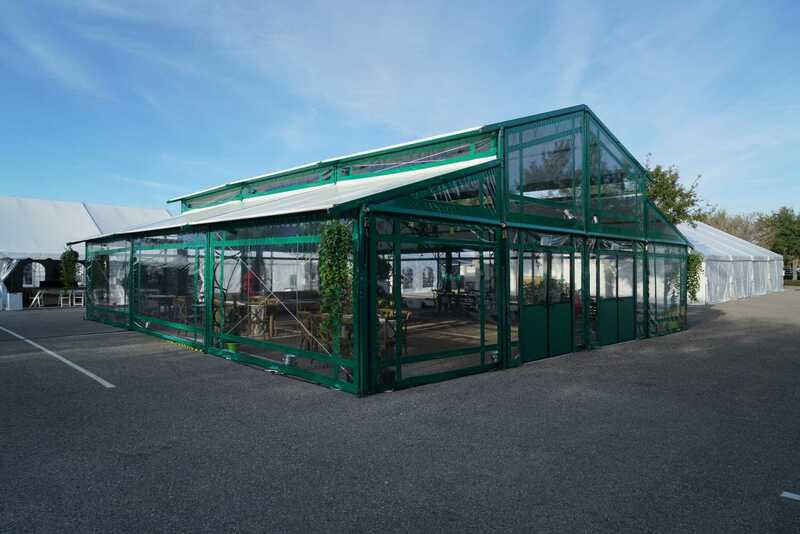 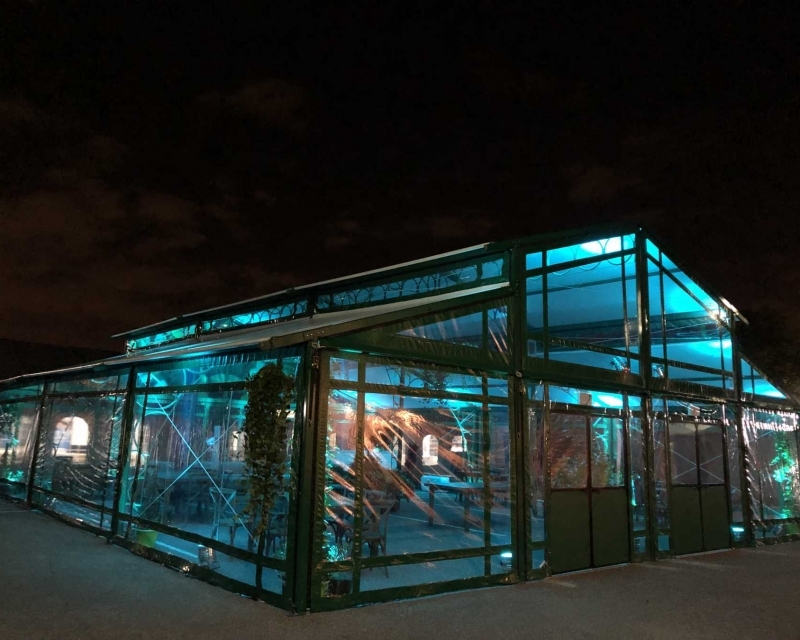 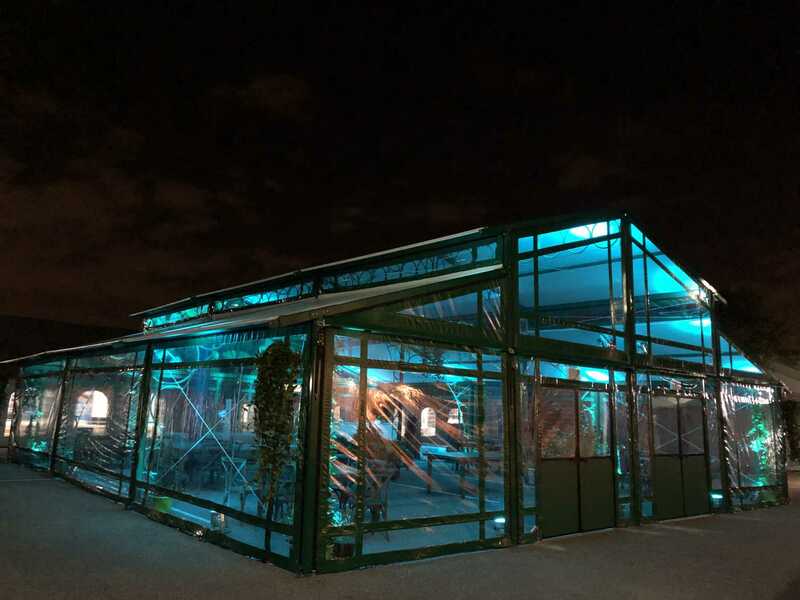 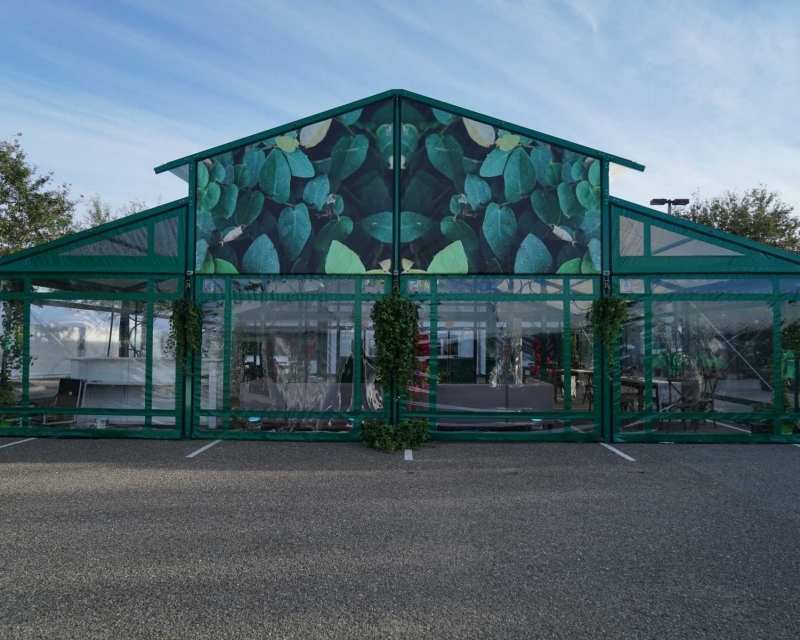 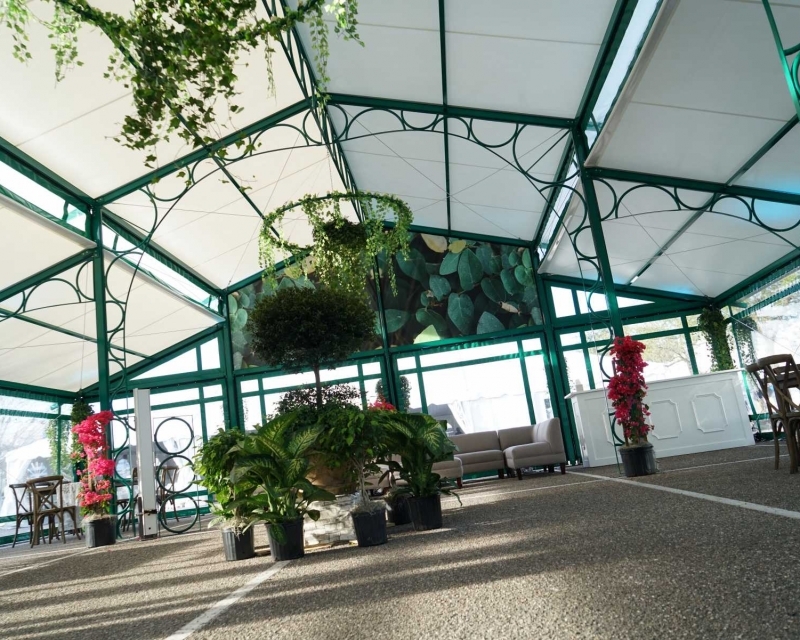 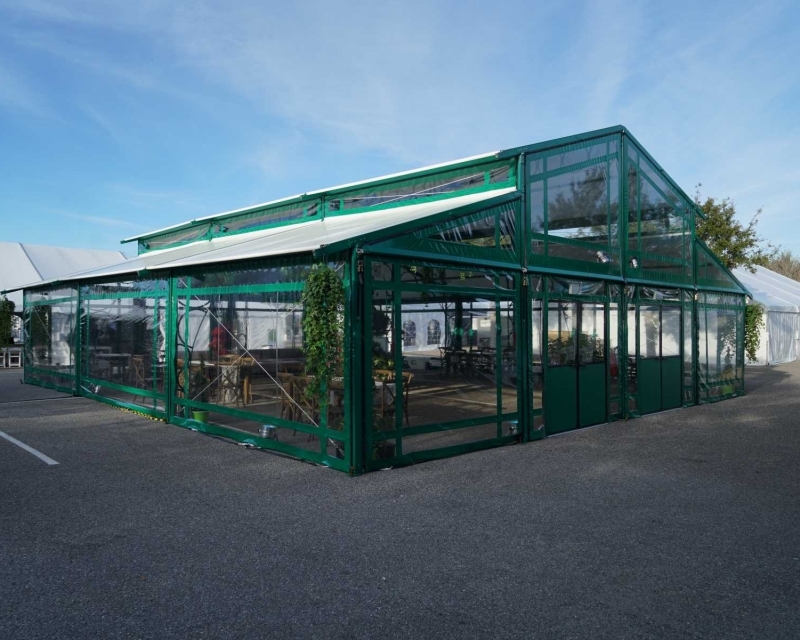 The combination of the green metal framework, the decorative rings, the accenting fabric along with the flowers and plant displays brought our vision of The Garden Tent to life!